AsusWRT-Merlin custom firmware extends the functionality of your Asus wireless router. RMerl provides the source code on github so you know there is nothing shady going on. The Asus routers are a fantastic choice for any user looking to get more functionality out of their home network like VPN access or automatically updating custom dynamic DNS. 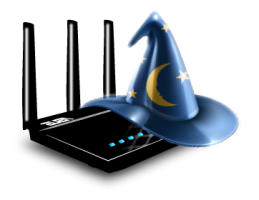 Installing the AsusWRT-Merlin custom firmware takes less than 5 minutes and a reboot (guide). 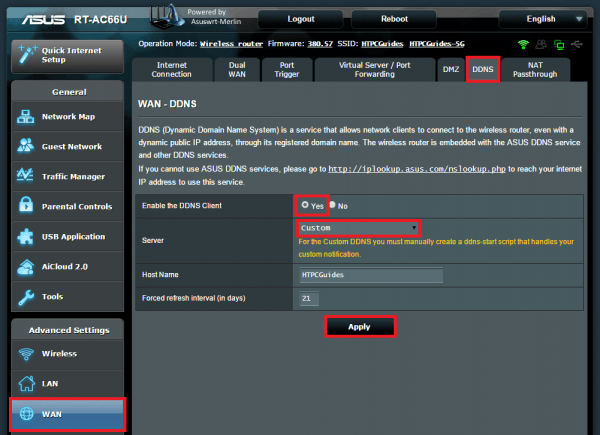 This Asus router configure dynamic DNS tutorial was adapted from the Wiki for Afraid’s great free DNS service. I use Afraid DNS since they have minimal nagging about how often you need to log in to keep your account active. Last I checked it was every 6 months. You will need your Direct URL with secret key from the Free Dynamic DNS account you just created. Log in to your account at freedns.afraid.org and click Dynamic DNS in the left pane. Scroll down and you will see a Direct URL hyperlink. 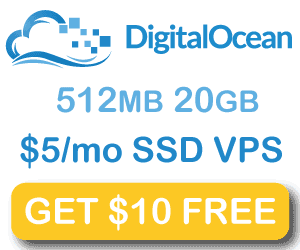 We are going to put the custom DNS script on a partition that is wiped when the router reboots. You can disable wiping of this partition so the script stays there forever. Now copy these lines and paste them into the vi editor (in Putty right-click pastes). This script is very simple, it makes a call to Afraid FreeDNS using your private key to update the IP address for you dynamic DNS address. Vi can be fiddly, to save this file you must be in a specific mode which you can see by look in the bottom left corner of the screen. Log back into the Asus router web interface to enable custom DDNS. 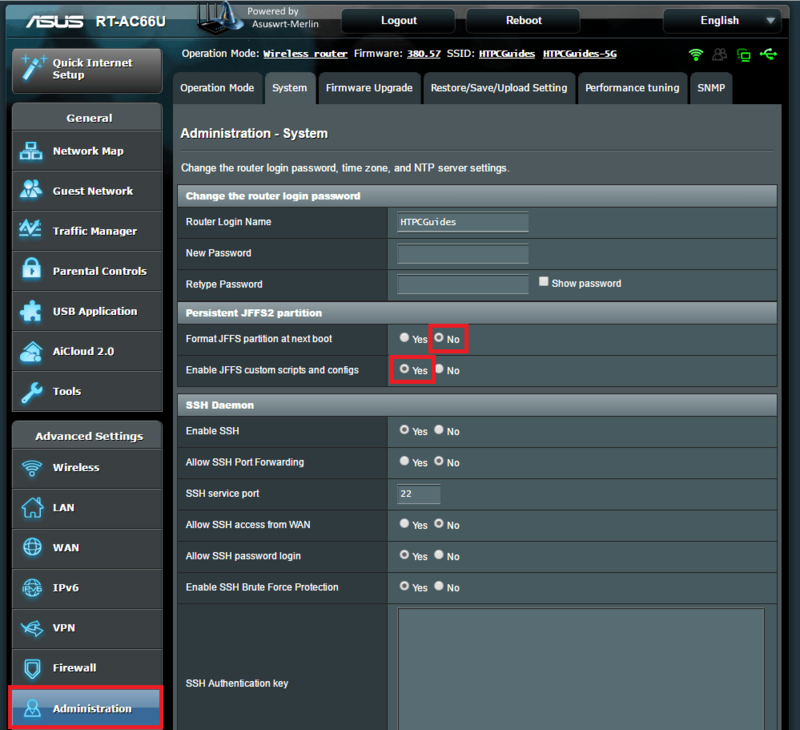 Test the script is owrking by looking at the Asus router’s log files which you can do straight in the web interface. May  6 09:55:24 watchdog: start ddns.